​The pinnacle of taste and elegance in window furnishings, Holme Blinds 'Roman' range offer you a luxurious selection of window dressings that will transform any room. This sumptuous range combines the subtle textures of a soft fold furnishing fabric with the practicality of a fully functional window blind. 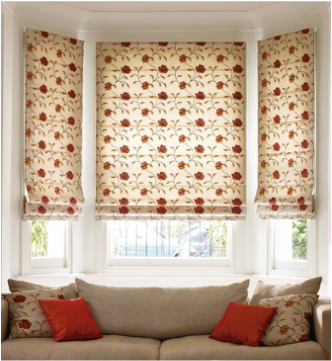 You can add individuality to your décor by selecting from our co-ordinating range of accessories to really add the finishing touch to your blind. ​Our roman blinds are supported on a deluxe, powder coated white, aluminium headrail and this attractive curved profile design cleverly conceals the technical hardware from view. 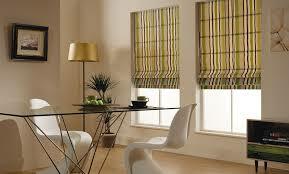 All our roman blinds come in a choice of colours and patterns and are fully lined with the further option of blackout lining for most fabrics.